The Real World Robot Challenge (RWRC), a technical challenge for mobile outdoor robots, has robots automatically navigate a predetermined path over 1 km with the objective of detecting specific persons. RWRC 2015 was conducted in the rain and every robot could not complete the mission. This was because sensors on the robots detected raindrops and the robots then generated unexpected behavior, indicating the need to study the influence of rain on mobile navigation systems – a study clearly not yet sufficient. We begin by describing our robot’s waterproofing function, followed by investigating the influence of rain on the external sensors commonly used in mobile robot navigation and discuss how the robot navigates autonomous in the rain. We conducted navigation experiments in artificial and actual rainy environments and those results showed that the robot navigates stably in the rain. 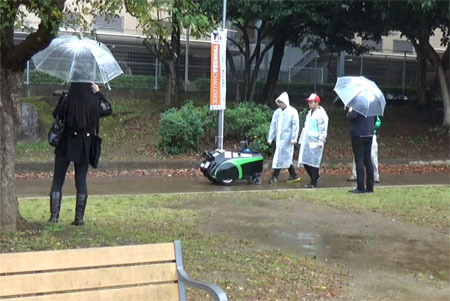 N. Akai, Y. Kakigi, S. Yoneyama, and K. Ozaki, “Development of Autonomous Mobile Robot that Can Navigate in Rainy Situations,” J. Robot. Mechatron., Vol.28, No.4, pp. 441-450, 2016. S. Yuta et al., “Open experiment of autonomous navigation of mobile robots in the city: Tsukuba Challenge 2014 and the results,” J. of Robotics and Mechatronics, Vol.27, No.4, pp. 318-326, 2015. N. Akai et al., “Autonomous navigation based on magnetic and geometric landmarks on environmental structure in real world,” J. of Robotics and Mechatronics, Vol.26, No.2, pp. 158-165, 2014. N. Akai et al., “Development of mobile robot ‘SARA’ that completed mission in real world robot challenge 2014,” J. of Robotics and Mechatronics, Vol.27, No.4, pp. 327-336, 2015. K. Kaneko et al., “Humanoid robot HRP-3,” IEEE/RSJ Int. Con. on Intelligent Robots and Systems, pp. 2471-2478, 2008. K. Tanigaki et al., “Cherry-harvesting robot,” Computers and Electronics in Agriculture, Vol.63, No.1, pp. 65-72, 2008. G. Freitas et al., “Kinematic reconfigurability control for an environmental mobile robot operating in the Amazon rain forest,” J. of Field Robotics, Vol.27, No.2, pp. 197-216, 2010. A. Yamashita et al., “A virtual wiper – Restoration of deteriorated images by using a pan-tilt camera –,” IEEE Int. Conf. on Robotics and Automation, pp. 4724-4729, 2004. T. Fujisawa et al., “Correction methods for underwater scan data measured by general-purpose laser range finders,” Trans. 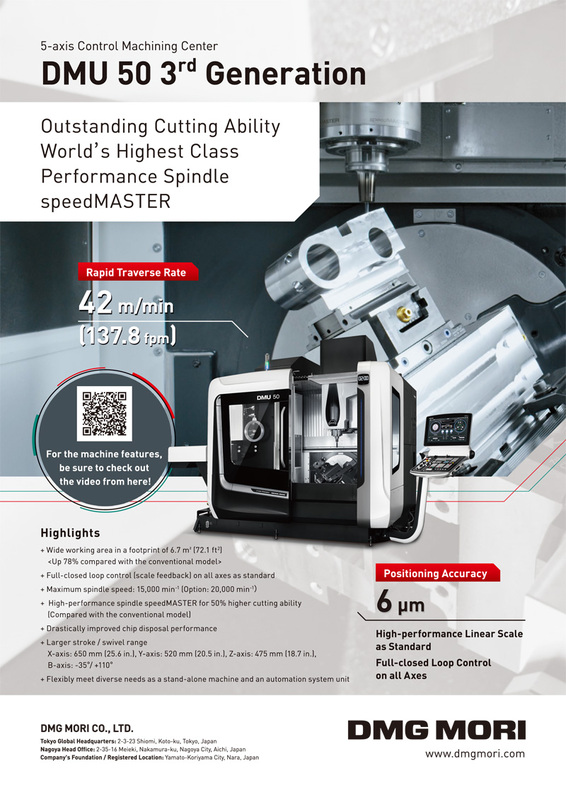 of the Japan Society of Mechanical Engineering, Vol.81, No.831, p. 15-00412, 2015 (in Japanese). R. P. Gorman et al., “Analysis of hidden units in a layered network trained to classify sonar targets,” Neural Networks, Vol.1, No.1, pp. 75-89, 2002. T. Suzuki et al., “Autonomous navigation of a mobile robot based on GNSS/DR integration in outdoor environments,” J. of Robotics and Mechatronics, Vol.26, No.2, pp. 214-224, 2014. K. Irie et al., “Outdoor localization using stereo vision under various illumination conditions,” Advanced Robotics, Vol.26, No.3-4, pp. 327-348, 2012. J. Biswas et al., “Depth camera based indoor mobile robot localization and navigation,” IEEE Int. Conf. on Robotics and Automation, pp. 1697-1702, 2012. S. A. Rahok et al., “Navigation using an environmental magnetic field for outdoor autonomous mobile robots,” Advanced Robotics, Vol.26, No.3-4, pp. 1751-1771, 2011. J. Biswas et al., “Wifi localization and navigation for autonomous indoor mobile robots,” IEEE Int. Conf. on Robotics and Automation, pp. 4379-4384, 2010. D. Dong et al., “Anatomy of apparent seasonal variations from GPS-derived site position time series,” J. of Geophysical Research, Vol.107, No.B4, 2002. V. Courtillot et al., “Are there connections between the Earth’s magnetic field and climate?” Earth and Planetary Science Letters, Vol.253, No.3-4, pp. 328-339, 2007. K. Yamazaki et al., “Analysis of magnetic disturbance due to buildings,” IEEE Trans. on Magnetics. Vol.25, pp. 4006-4008, 1989. W. Kwon et al., “Particle filter-based heading estimation using magnetic compasses for mobile robot navigation,” IEEE Int. Conf. on Robotics and Automation, pp. 2705-2712, 2006. F. Dellaert et al., “Monte Carlo localization for mobile robots,” IEEE Int. Conf. on Robotics and Automation, Vol.2, pp. 1322-1328, 1999.